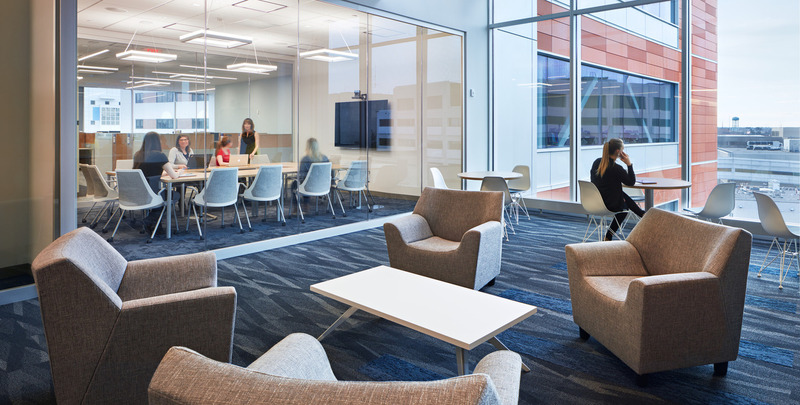 Medical College of Wisconsin's Hub for Collaborative Medicine was named the "People's Choice" award-winner at the 19th annual Daily Reporter Top Projects Awards Dinner in Milwaukee. The Flad project was selected from a group of 50 Top Projects by attendees who voted at the event. The annual awards competition and dinner is organized by The Daily Reporter, a Wisconsin construction news source read by industry professionals (architects, engineers, general contractors, subcontractors and suppliers). Projects are submitted by contractors, and 50 are honored, one of which is named "Best in Show" and one selected as "People's Choice." Nearly 700 leaders in the construction industry attended this year's dinner. 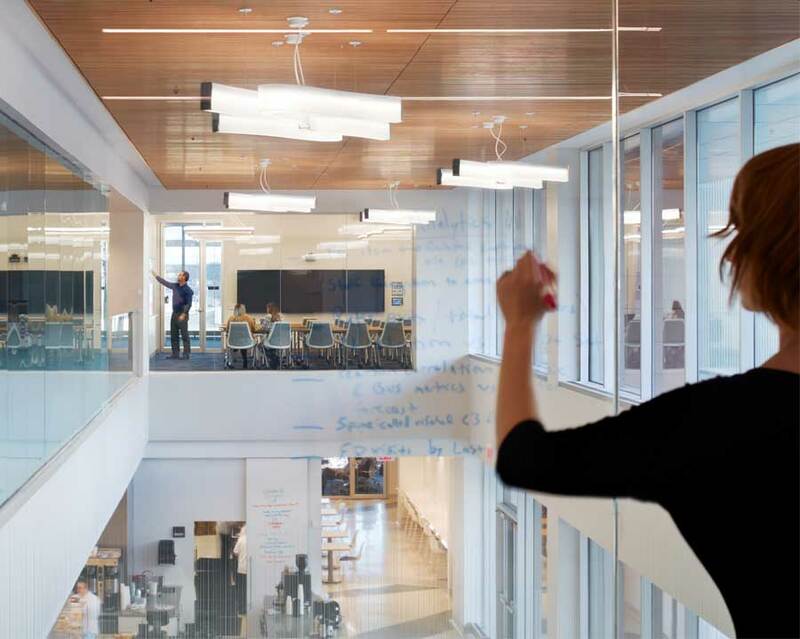 The aptly named Hub for Collaborative Medicine serves as a physical and symbolic bridge joining the clinical, academic, and research missions of the Medical College of Wisconsin. The 310,000-square-foot professional office building is physically connected to the existing Medical Education and Health Research Center buildings to the north at multiple levels, and connected to the Wisconsin Diagnostic Laboratory Building to the south by an enclosed elevated skywalk over Milwaukee's Connell Avenue. 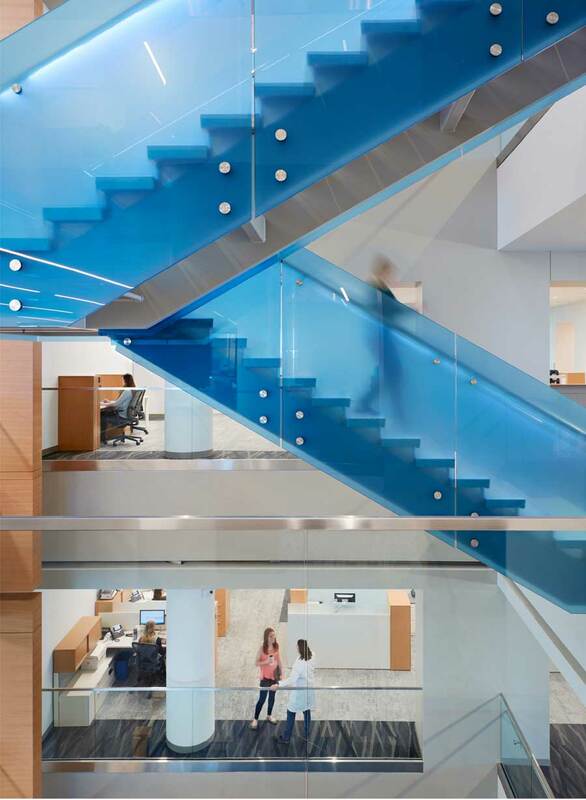 Consisting of enclosed offices, modular workstations, conferencing space, break areas, and informal collaboration spaces, the eight-story building allows more than 1,400 physicians, nurse practitioners, researchers and healthcare staff to be relocated into one dedicated central workplace, freeing up clinical space within the hospital. The move helped MCW accomplish four key objectives: bring clinicians together for clinical, research, educational, and community engagement endeavors; create a modern workplace fostering innovation, collaboration, and collegiality; attract and retain the best students, faculty, and staff; and support clinical growth while preserving space for future expansion on the MRMC campus.